The Basics of Holdem Poker …. Five Community Cards are dealt in the middle of the table that are shared by all players. Aim is to combine the cards in your hand and the shared community cards to make the best 5 card hand. Four betting rounds per hand and can be played in No Limit, Pot Limit or Fixed Limit format. Holdem (also referred to as hold em or hold’em) poker is the most popular family of poker games. 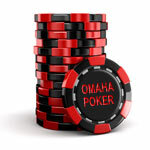 It includes the two most popular variations of poker games played today which is Texas Holdem and Omaha Poker. The invention of Holdem poker dates back to the early 1900s and it’s birthplace was a small town in Robstown, Texas, United States. The game expanded outside of Texas when a group of gamblers introduced the game to the gambling city of Las Vegas in 1967. It soon became popular and became the game of choice due to the fact that in Holdem Poker you bet four times where as in Draw Poker, which was the game of choice at the time, you only bet twice leading to much more strategy and skill. 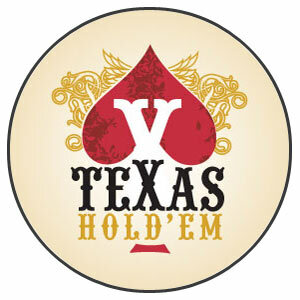 Texas Holdem is the most popular form of poker played today and was the source of the “Poker Boom” when it’s popularity surged in the early 2000s due to exposure on television through popular televised tournaments like the World Series of Poker and the World Poker Tour. Holdem’s simplicity and popularity have lead to a huge growth in the number of people playing poker on online poker sites, with games instantly available any time of day or night from the comfort of your own home. This growth is mainly attributed to the games appearance in film and on television, the 2003 World Series of Poker championship victory by Chris Moneymaker who qualified for the tournament via a $30 online poker site qualifier and won over $2 million, and the appearance of television commercials advertising online poker sites. The Holdem family of games consist of a number of cards being dealt to each individual player and then five community cards being dealt face up in the centre of the table which are shared cards that all players can use. A player wins by combining the cards in his hand and the shared community cards to make the best 5 card hand. The five community cards are dealt in three stages, three cards called “the flop”, then a single card called the “turn” or “fourth street” then a final single card called the “river” or “fifth street”. There are four rounds of betting, one before any community cards are dealt and then one after each stage of the community cards. If you are just starting out in Poker then we recommend that you start by learning how to play Texas Holdem as it is the most popular game and most straight forward to get started with. If you already play Texas Holdem and are looking for a new game to learn then Omaha Poker is the logical choice due to it’s close relationship with the game you already play.